Most of us have experienced health clinic websites that allow you to view the photos and bios of physicians – allowing you to select a doctor based on whichever criteria is most important to you (e.g., specialty, years of experience). What puzzles is me is why all companies who offer professional services don’t do the same thing. There is tremendous value in allowing customers to evaluate and select the professional that best fits their needs – whether it’s budget, availability, specialty, years of experience, customer reviews or another attribute. The experience feels personalized and helps the user feel empowered. For many companies, the idea of allowing customers to select who they want to work with at your organization is – understandably – a major operational challenge. At minimum, it’s worth seriously looking into it. If you can, run a small test pilot or offer this feature to just your VIP customers to vet out the viability and ROI. Two companies that I think do this very well are H&R Block and Ameriprise Financial. 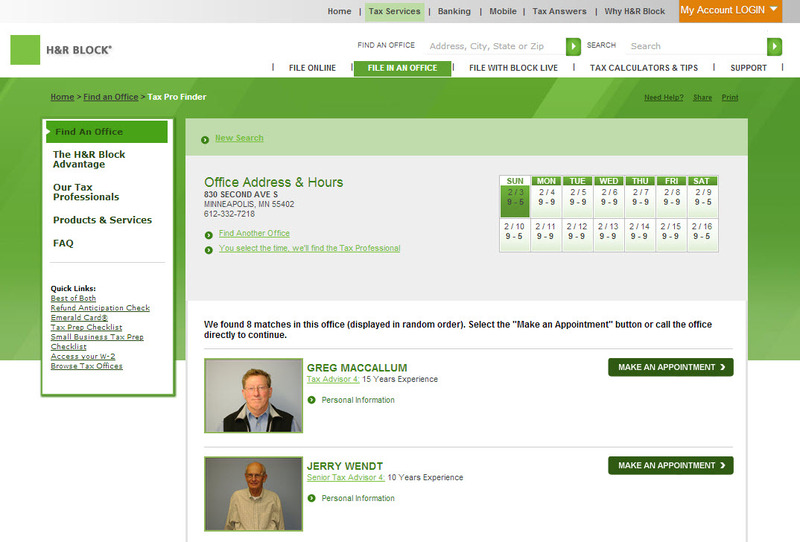 On H&R’s website, there is a big “Make an Appointment” button next to each tax professional. I especially love the Ameriprise example because it capitalizes on the most powerful criteria: my personal network. 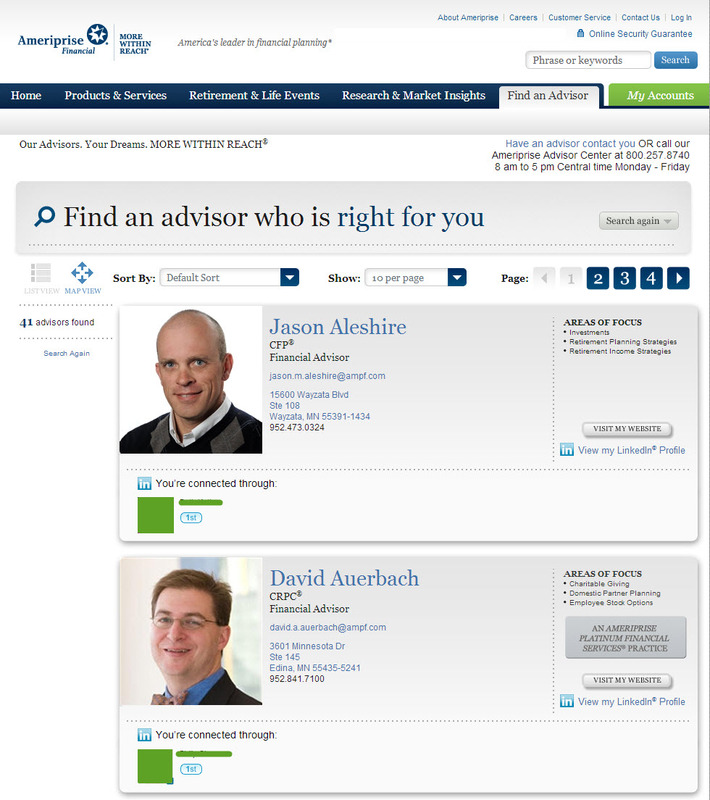 After you connect your Linkedin to Ameriprise, the website recommends financial advisers based on your shared professional connections. Detailed bio information, including published articles, professional credentials, customer satisfaction scores and the adviser’s photo, quickly build trust.